Wildstar is a gamer’s paradise in terms of visual effects in an unknown world of aliens. The premise of this game is to explore unknown territories of outer space while defeating alien life. Players use skills to find invaders and attack crazy life forms that are of danger. Wildstar‘s animation is a favorite of players who crawl around in ancient ruins and run through mystical forests that are 3-D and close to real-life. The interactive game puts gamers against each other and includes the option of forming teams to take on opposition. Advancement in this game requires skill and knowledge to navigate through outer space. The object is to find and kill aliens, which is perfect for those who enjoy sci-fi. It is an action-packed game that is imaginative and colorful. The game is T rated, even though there is violence throughout the game. The rating is based on the low-level of explicit killing scenes. 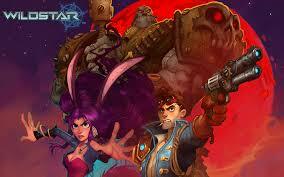 Wildstar is among the newest releases and is available for purchase on all gaming devices.